“Boring Tattoo!! !” AKA: “hollocaust tattoo cartoon” – NEARLY 63 Years AFTER The Holocaust!!! Please read the little cartoon carefully, it’s powerful. Then read the comments at the end. I’m doing my small part by forwarding this message. I hope you’ll consider doing the same. It is now more than 63 years after the Second World War in Europe ended. This e-mail is being sent as a memorial chain, in memory of the six million Jews who were murdered, massacred, raped, burned, starved and humiliated with the German and Russian Peoples looking the other way! At one point, it EVEN became THE LAW OF THE LAND!!! ONLY because, they were DIFFERENT, THEY WERE JEWS WITH DIFFERENT BELIEFS & DIFFERENT VALUES!!! ALL THIS, because, NO-ONE CARED!!! 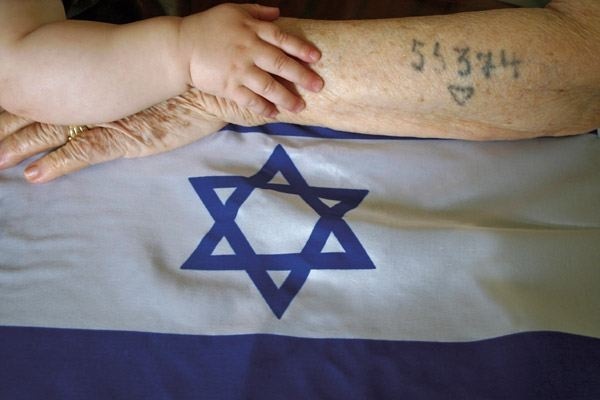 Now, more than ever, with Iraq , Iran , and others, claiming the Holocaust to be “a myth”, it’s imperative to make sure the world never forgets, because there are others who would like to do it again. We SHALL NOT forget that it is just LESS than 1st YEAR ANNIVERSARY of that HEART-BREAKING NEWS when some ARABS went in to the Chabad Synagogue of Mumbai to MURDER so many innocent JEWS!!! We SHALL NOT forget that they ALSO went in to other places like HOTELS & HOSPITALS in Mumbai and to Synagogue to MURDER so many innocent people who were just living their lives, vacationing, visiting hospitals or were patients in the hospitals, were Doctors & Nurses in the Hospitals, etc…!!! Join us and be a link in the memorial chain and help us distribute it around the world and ask them to continue the memorial chain. I hope Mr. Wiley Miller of Non-Sequitur Cartoons (which incidentally according to Wikipedia’s listing for Non Sequitur: …”Translated from Latin as “it does NOT follow“) OR Ucomics.com, NOR GoComics.com, a division of uclick LLC (formerly: Universal Press Syndicate) do NOT mind us using this cartoon to bring-about a point!